Like many, I was not blown away by Apple’s unveil of the new iPhone, the 6S and 6S Plus.But I can’t wait to get it. Pre-orders start Saturday at 12:01 a.m, and the phone goes on sale Sept. 25. With this year’s models, Apple is offering a few new features, faster processor and a hype machine in overdrive. “The only thing that’s changed is everything,” Apple says. Well, that’s not true. It’s the same iPhone we’ve known and loved since 2007, the greatest digital device of our lifetime, the handset we covet, worship and won’t let leave our sides. Apple’s upgrades seem minor to me, but I’ve got to have this 6S. To anyone who asks, which one should I get, the lower priced 6 ($99 with a two-year contract) or the 6S. Get the new one, it’s a no brainer. “The moment you use iPhone 6S, you know you’ve never felt anything like it,” Apple proclaims in its new ad. No, it’s the iPhone. It looks like an iPhone, it feels like an iPhone, it acts like an iPhone. I know. I held one in my hands at the Apple press event, I played with it. It’s the iPhone. Of the features being touted, the one I think consumers will be most interested in is Live Photos, which takes a still image, and brings motion by turning it into an animated GIF. There have been apps that have done this in the past, but with Live Photos built into the camera feature, you’ll see a lot more moving Apple photos out there. The camera —the world’s most popular — is upgraded with a 12 megapixel image sensor. With the new phone, you can shoot videos that are four times the resolution of standard HD, in 4K. I can’t wait to do that. As an avid guy, I love the idea of 4K video on an iPhone. How amazing. How far we’ve come from those grainy cellphone videos of yesteryear. But….we’re talking mobile videos here. Most folks don’t have 4K TVs to enjoy the higher resolution, and I swear they won’t be able to tell the difference. What they will notice is huge image files, possibly four times the size of those on the 6. You know those nagging messages telling you that you have no room on your phone. Opt-in for 4K, and you’ll certainly be seeing more of those. Not really. You hold your finger down on the screen, and you get shortcuts to features that would have been hidden within an app. Sort of like a right click. My reaction when it was introduced Wednesday, and when I tried it in the hands-on room afterwards: Meh. Nice. But I can’t wait to start using it and exploring on the new iPhone. Even more exciting though is the upgraded power? Oh boy. Apple says the new iPhone delivers performance “once found only in desktop computers,” with 70% faster performance. Well I don’t believe it. Apple’s hype is always a little over the top, but this time, it seems like far-fetched. But maybe I’m wrong, and the new iPhone will be a screamer. Either way, I really want to be the first on the block to have it. 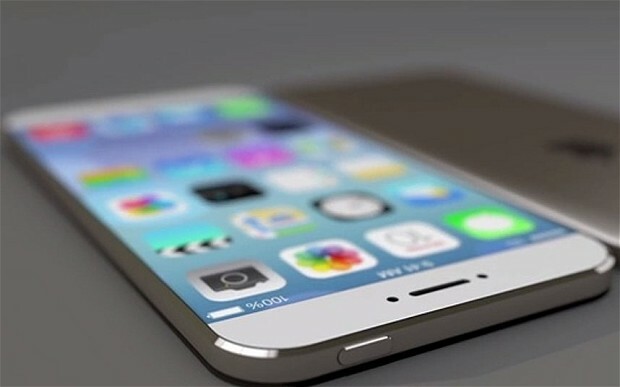 I know it will be the best iPhone ever.